Aktaş Holding, which is the leader in Turkey and among the first three companies in the air suspension bellows sector, has realized a brand new educative organization with the initiative of the personnel staff serving in her organization. The sensitive personnel staff of Aktaş Holding, who signed a lot of successful organizations beforehand, brought the photography to the forefront this time and gave the start of “Aktaş Photography Club” which is one of the hobby clubs, established for the first time, in the organization of the company. While the club where all Aktaş personnel who interest in the photograph and photography started studies with “basic photography training”, the first class realized witnessed pretty colorful images. The names of Eda Göktaş, Nazlı Şen Bıyıklı, Ercan Balçık, Ruken Oğulmuş, Ahmet Saatçi, İlhan Bulut, Nevzat Kaya, and Kübra Özyapı entered the first class performed in the factory building, located in the DOSAB location of Aktaş Holding. 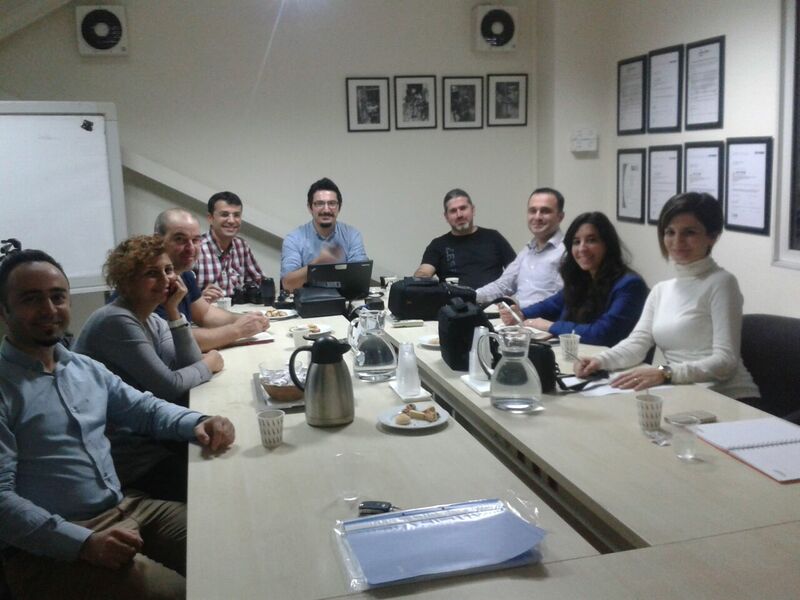 The classes, performed with the leadership of Murat Yıldırım and Oğuzan Maho, personnel of Aktaş, who can also make professional photograph shootings, will continue with practical photograph shootings in the regions to be determined inside the city following the completion of the theoretical information. Sami Erol, president of the executive board and member of the board of directors of Aktaş Holding, saying that the doors of the Aktaş photography club is open to all Aktaş personnel, gave the good news that the personnel who couldn’t entered the theoretical lectures but want to be a member of the club can participate in the practical shooting organizaitons which will be realized in the progressing time zone. Inviting all Aktaş personnel interesting in the photography to be a member of the club, Erol said they, as Aktaş Holding, will continue supporting such organizations, realized.